Curious about life's greatest mysteries? This Swedenborg and Life original series seeks to find answers about this life from the afterlife. In this episode, host Curtis Childs and co-host Dr. Jonathan Rose from the Swedenborg Foundation and other featured guests take ten questions we've received from viewers and provide insights with the help of eighteenth-century scientist and mystic Emanuel Swedenborg’s spiritual writings. Is a poor work/life balance a form of evil? What is punishment as defined by Swedenborg? Why did Jewish men have to wear a blue piece of fabric? Does Swedenborg give any specific exercises or techniques to improve one’s thinking/being. What about people who have no or limited choices (due to war, hunger, forced indoctrination)? Which of Swedenborg's books provides greatest descriptions of his trips to the other side? 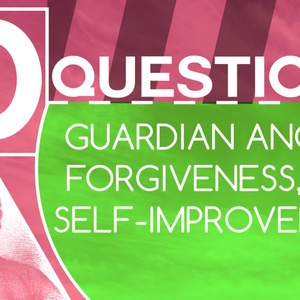 Swedenborg speaks about angels but what does he say specifically about guardian angels and their role in our lives? Evil spirits may have been souls like us, can we forgive them as Jesus would? How can someone gain heavenly rewards?